The Low-Down: How Much Do Tech CEOs Make Pre- IPO? 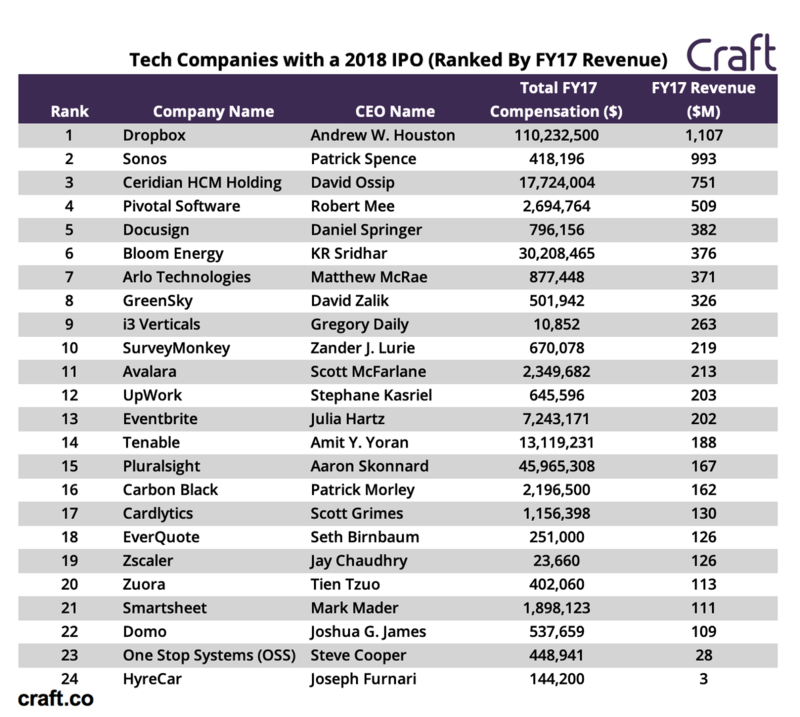 How Much Do Tech CEOs Make Pre- IPO? There have been a flurry of IPOs in 2018. The base salaries for (those) CEOs are $100K to $500K. 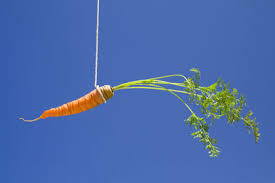 Across all compensation packages, the base salary represents, on average, 42% of total compensation. If we compare this to the distribution for Fortune 100 CEOs (base salary is 8% of total compensation), it’s relatively low. There is a slight positive correlation between the CEO’s total compensation and annual revenue (R-squared = 0.33). 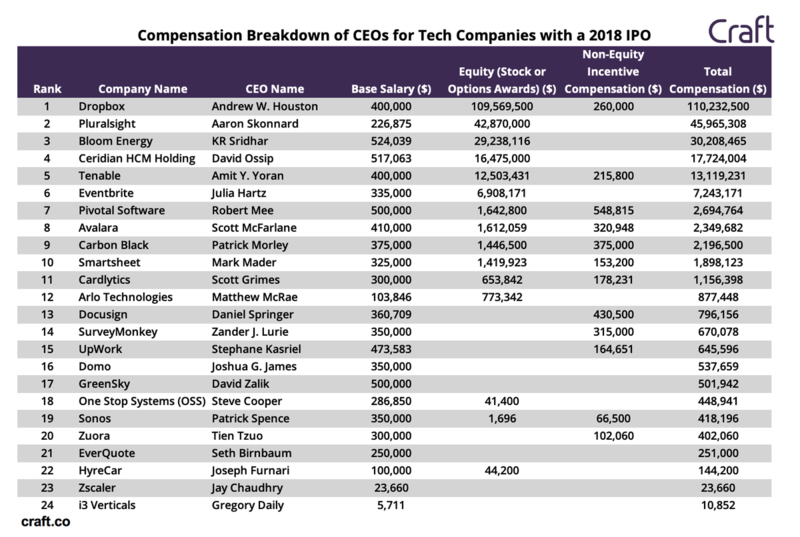 With rumored high-profile IPOs in 2019 (such as Uber, Lyft, Airbnb, Pinterest, Palantir, Postmates), we are interested to see how their CEOs’ salaries compare. Across all these compensation packages, the base salary represents, on average, 42% of total compensation. If we compare this to the distribution for Fortune 100 CEOs (base salary is 8% of total compensation), it’s relatively low. However, we do see there are obvious outliers - Dropbox CEO Drew Houston’s base salary represented only 0.3% of his overall compensation. With rumored high-profile IPOs in 2019 (such as Uber, Lyft, Airbnb, Pinterest, Palantir, Postmates), we are interested to see how their CEOs’ salaries compare - stay tuned.